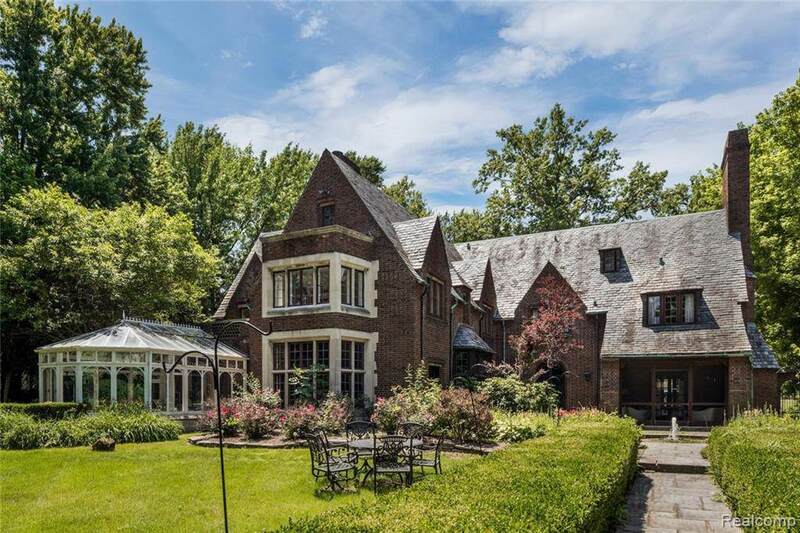 Enjoy luxury living the way Grosse Pointe intended. From the moment you arrive at the private road and are greeted by the gate man you feel the luxury. 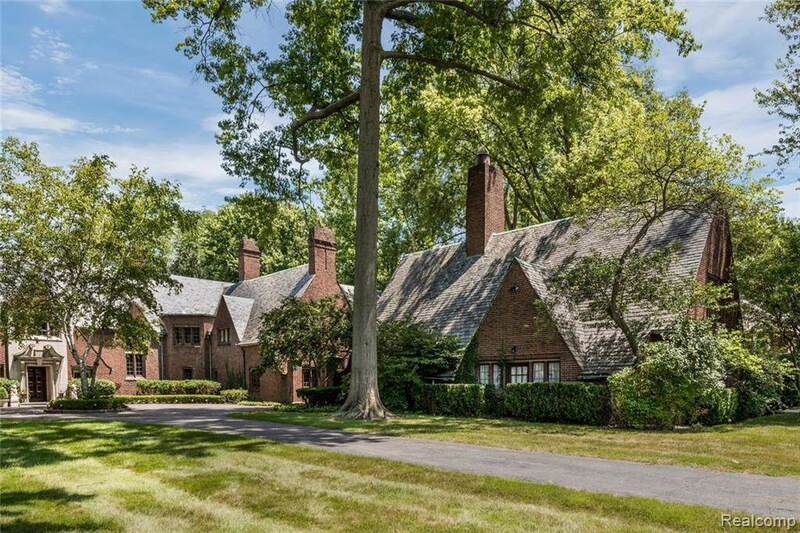 Cruising down the private road with the famous Country Club of Detroit on your left creates the Bespoke atmosphere you cannot obtain anywhere else. 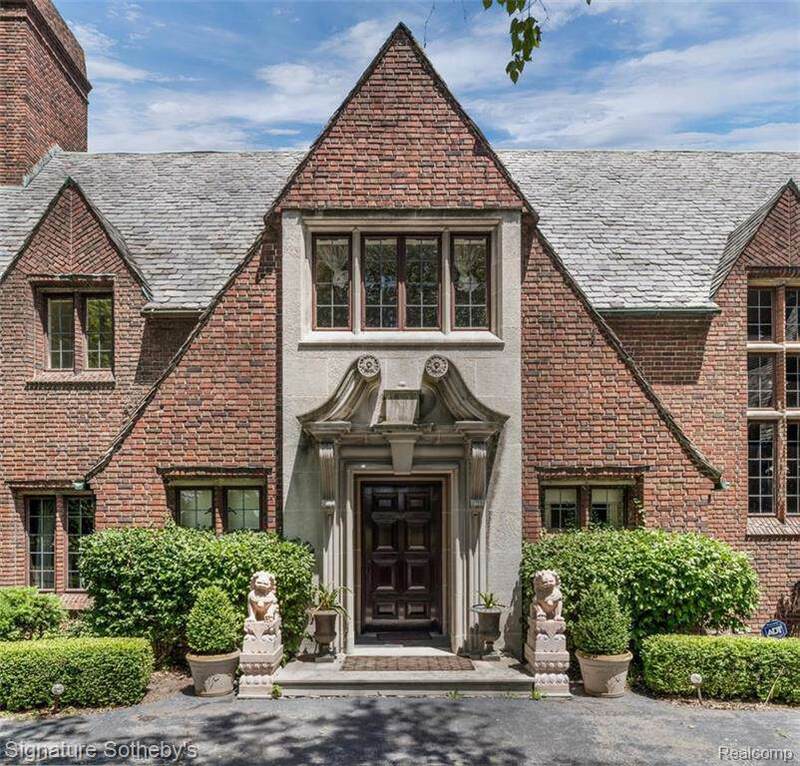 As you enter your driveway the Tudor Gatsby lifestyle awaits your entry. Over 8500sq ft of Luxe living is at your fingertips and awaiting your entertainment. The first floor features a gracious foyer with his and hers powder rooms the nestles next to a library that appears to be taken straight from Architectural Digest. Huge formal and informal rooms sprawled around this estate giving you functionality and privacy when needed. The gourmet kitchen has Marble counters with an enormous amount of storage. Upstairs features 6 spacious bedroom including 2 master suites, a gym and play area. 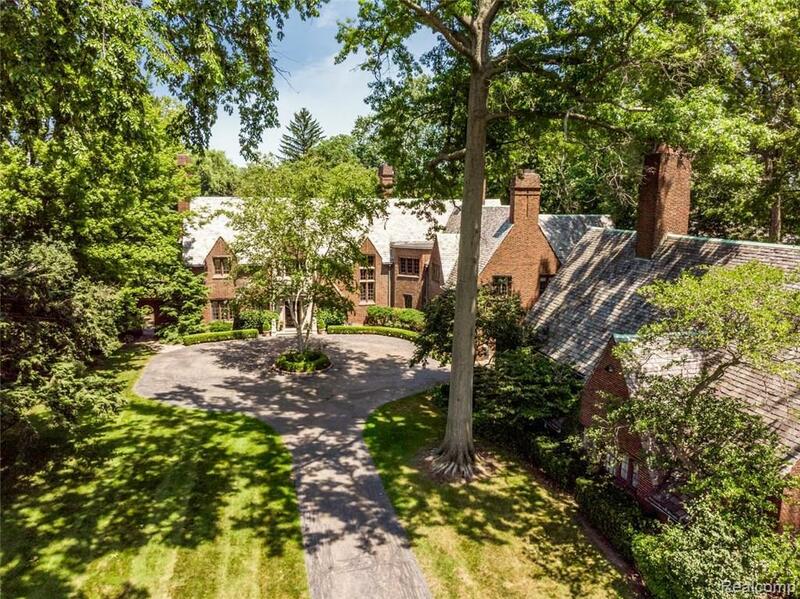 The architect was famous H. F. Stanton: slate roof, copper gutters and a carriage house.